The biggest risk is not taking any risk… In a world that’s changing really quickly, the only strategy that is guaranteed to fail is not taking risks. ~ Mark Zukerberg, Facebook founder. As our nation spirals further into crisis, the desperate search for solutions has grown more intense. Unfortunately, there are no easy answers. While most agree that change is urgently needed, finding common ground has been difficult. Perhaps, we are too idealistic, even unrealistic, looking for grand solutions or quick fixes instead of small, incremental steps in the right direction that hopefully will result in big changes further down the road. 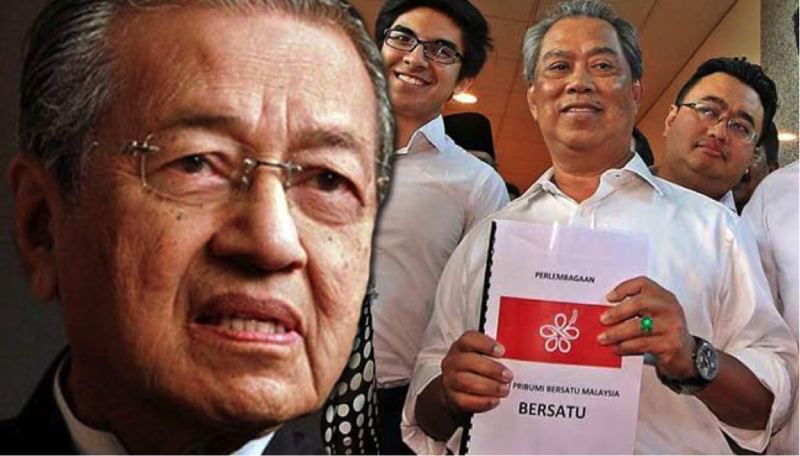 Take the formation of the new Mahathir-inspired, Muhyiddin-led political party – Parti Pribumi Bersatu Malaysia (BERSATU). Apparently torn between wanting to be more inclusive but fearful of antagonizing its potential support base, the leadership settled on the asinine idea of opening the party to non-Malays but not allowing them to hold office or vote. Not surprisingly, many non-Malays were indignant. Given the prevailing political culture, surely it would have made better sense to have kept it a purely Malay party while making clear its intention – as it later did – to cooperate fully with other interested parties not just to oust Prime Minister Najib but to defend the constitution, work for national unity and fight for good governance. Besides, another multiracial party in an already crowded field might hinder rather than help the opposition. As it is, the DAP and PKR can hardly agree on how to work together as recent events have made clear. Imagine how complicated the situation would be if a third multiracial party was added to the mix; it is more than likely that all three would end up fighting each other for seats and support rather than squaring off against UMNO-BN. A new Malay-based party, particularly one that can appeal to disaffected Malays and working in tandem with Amanah, on the other hand, might pose a more direct challenge to UMNO in competing for the critical Malay-Muslim vote without which victory is impossible. Of course, it would be absolutely supercalifragilisticexpialidocious if race didn’t matter but we are not there yet. After more than half a century of UMNO-BN racial politics, as well as Mahathir’s own race-based approach to nation building, racial politics has become deeply ingrained in our culture and there’s no running away from it. Someday, if we can get there, a new generation of Malaysians will hopefully reclaim the vision of our founding fathers of a nation united in diversity where a person’s ethnic or religious background will not matter as much as leadership, vision, integrity, character. Consequently, all Malaysians who are fed up with UMNO-BN misrule will surely want to cheer BERSATU on and wish Mahathir and his colleagues every success in their endeavours. In addition, by making a commitment to the kind of structural, political and institutional principles that opposition and civil society leaders have long insisted are necessary to get the nation back on track, Mahathir and his colleagues now appear to be aligning themselves more closely with the aspirations of a majority of Malaysians. That augurs well for the future. Of course, there are no guarantees that Mahathir won’t do a U-turn and re-join UMNO once Najib steps down or is forced to quit, but given present realities, Mahathir, warts and all, can help tilt the balance against UMNO-BN like no one else can. And that’s the only thing that really matters right now. We can allow ourselves to get sidetracked arguing whether Mahathir is the messiah (of course, he is not), whether he has sufficiently reformed his race-based views (probably not), whether he is properly committed to democratic principles (debatable), or we can put aside all those questions for now and take a chance on Mahathir. The fact that he will have to work closely, as first among equals, with the likes of respected opposition stalwarts like Anwar Ibrahim and Lim Kit Siang and civil society leaders like Ambiga Sreenevasan and Maria Chin Abdullah should also provide a measure of assurance that no one person will be able to hijack the movement for change. Those who are still torn over Mahathir’s involvement might do well to take another hard look at some of the serious issues that now confront our nation – the staggering levels of corruption, the deliberate exploitation of racial and religious issues, religious extremism and violence, increasing crime including assassination, rising national debt, economic mismanagement, legislation that restricts fundamental rights and freedoms – and ask themselves how long we can continue this way before we reach the point of no return. Historically, few nations have recovered from the kind of graveyard spiral that we are slowly slipping into. Even if we manage it, it will take years of hard struggle to climb back to where we once were. The longer we take to get back on track, the harder it is going to be. And, as if all these issues were not challenging enough, we also face new regional security threats as well. Through a combination of aggressive military moves in the South China Sea and strategic investments in vulnerable economies in the region, a resurgent China is seeking to establish regional dominance if not outright hegemony. In Malaysia, China is using its massive foreign reserves to make strategic investments in key sectors of the economy with the collusion of a government more concerned with its own survival than the nation’s security. With the government increasingly looking to China to relieve its debt load, including 1MDB, China is set to gain unacceptable levels of economic and political influence in the nation’s affairs. Our increasing reliance on China has also reduced our ability to manoeuvre vis-à-vis China’s maritime claims. While China continues to aggressively press its claims, we dither and send meaningless diplomatic notes. Instead of waking up to the real threats to our nation, UMNO politicians are tilting at windmills Don Quixote-like, as the Chief Minister of Malacca did last week when he warned that the US was out to kill Malays. If we are not careful, Wàijiāobù – the Chinese foreign ministry – will soon be calling the shots in Malaysia as it does in Cambodia and Laos. Again, we can argue about the details but there can be no doubt that we have come to a critical juncture in our nation’s history, a moment in time that requires decisive action. And with the very real possibility that snap elections could be called to catch the opposition off-guard, waiting for better solutions or hoping for more perfect leaders is no longer an option. Time is simply not on our side. We have to make the best of a bad situation and that means, for now at least, throwing our lot in with Mahathir. Of course, there are risks and no one can be certain of the outcome, but the biggest risk might perhaps be not taking a risk at all.